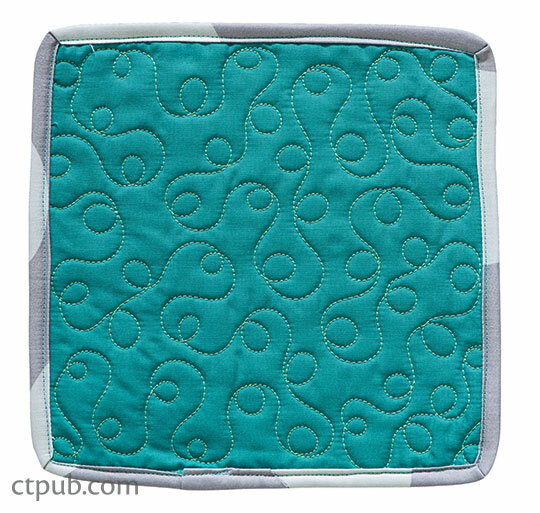 Excerpted from Free-Motion Meandering: A Beginner's Guide to Machine Quilting. 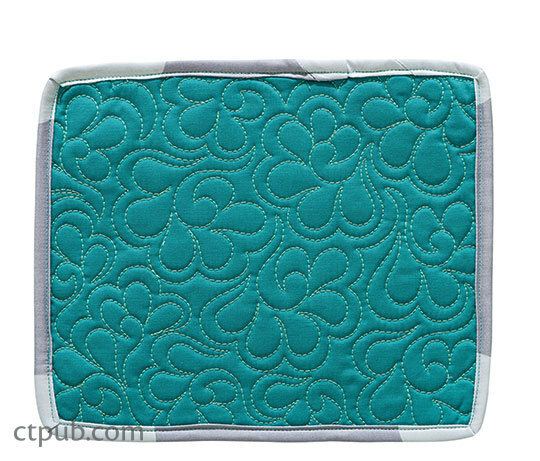 Once you have quilted a little bit, I am sure you have some questions. 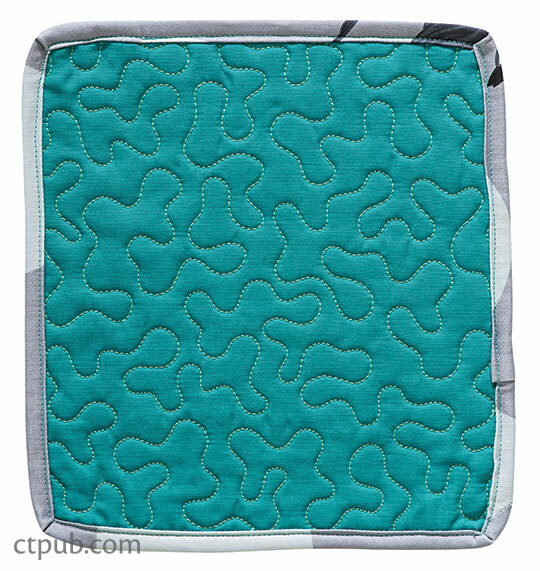 Hopefully one of them isn’t, “Why on earth am I trying this?” As we continue through the designs, hopefully I will have answered most, if not all, of your quilting questions. For now I will address some of the most frequently asked questions in my classes. Q. Where should my hands go? A. 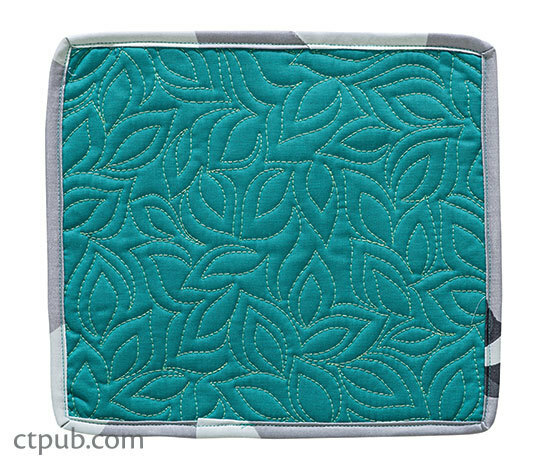 You will have the most control of your quilting when you hands are on either side of the needle, about 3 or 4 inches away. 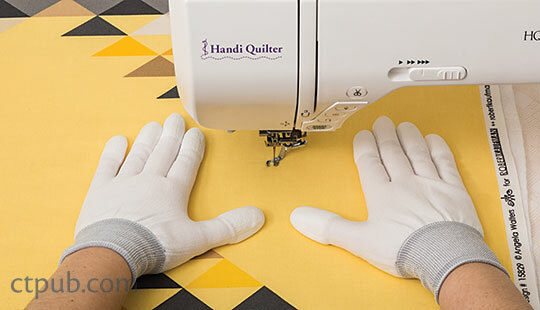 Proper hand placement will give you the most control of your quilting. 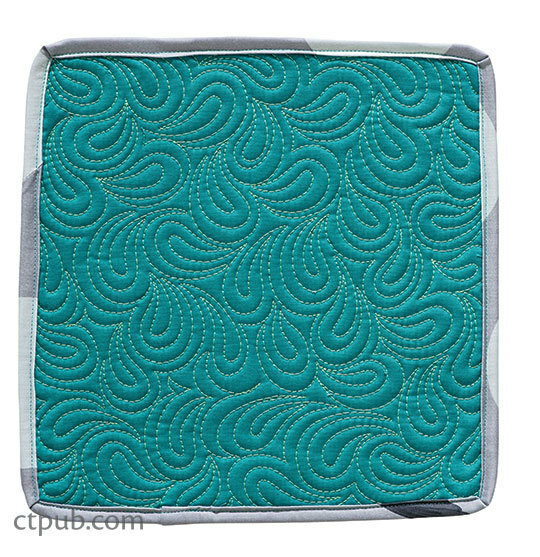 As you quilt, be sure to reposition your hands often. Forgetting to reposition my hands is my worst habit. I will be quilting along and realize that my hands are way over to one side. It’s hard to have good control when your hands aren’t in the proper place. Q. How fast should I quilt? A. It depends. (I know it isn’t probably the answer you want). The best speed is one that isn’t so slow that you can critique the job you’re doing while you’re doing it, but not a speed so fast that you feel out of control. 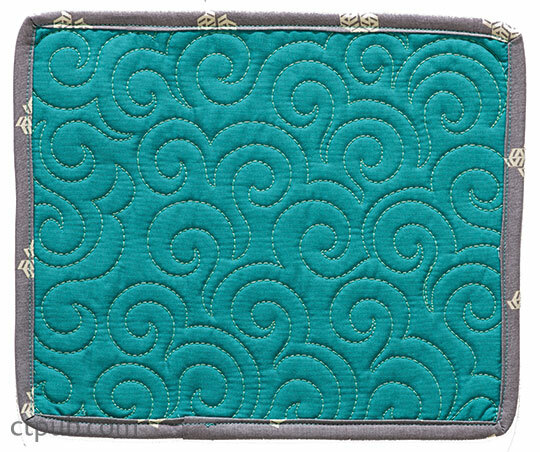 The speed you use will change as you get more comfortable with quilting, so don’t be afraid to change the settings. 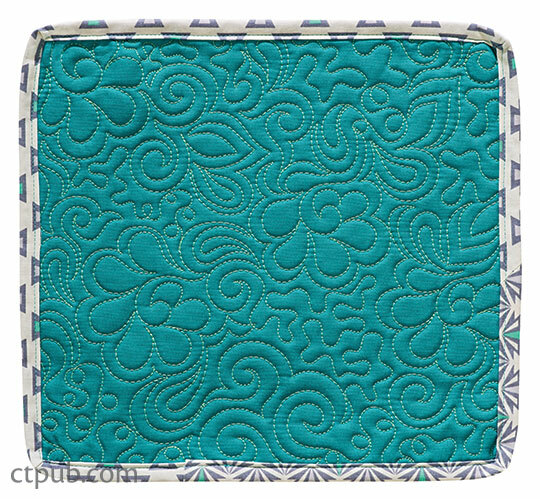 NOTE: Your sewing machine may come with a stitch regulator, which means that it will speed up or slow down depending on how fast you move the quilt sandwich. If your machine has one, you don’t have to worry about what speed to use. In the beginning, adjust your needle speed (if your machine has one) to a speed that allows you to put your foot pedal all the way down. (Unless you have a stitch regulator.) Not having to think about the position of your foot gives your mind one less thing to worry about. If your stitches are too large, speed up the machine. If they are too small, slow the speed. Make the speed of the machine fit the movement of your hands not the other way around. Q. Ack! Should I be making the stitches all the same length? A. Consistent stitch length comes with practice. 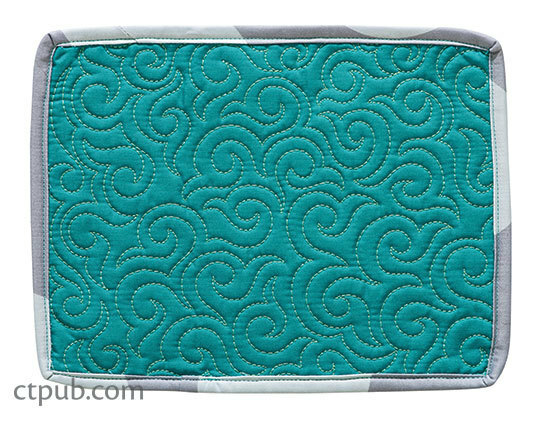 The more comfortable you become with a particular machine quilting design, the easier it will be to keep the stitch length consistent. Worrying about it right now will only drive you crazy.